Are you searching for Business Auto Insurance for Non Emergency Medical Transportation? If so you have found the right place! We insure nonprofit agencies and for-profit companies offering Non Emergency Medical Transportation throughout the US. Auto Insurance for Non Emergency Medical Transportation – Make Sure All Details of Your Operation are Disclosed. 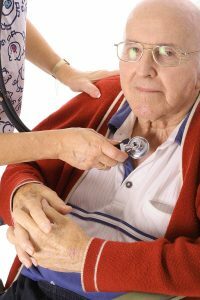 If you run a home health care agency or a standalone transportation service for senior citizens or the disabled it’s extremely important to ensure you disclose all details about your operation to the insurance company. Example: The owner of Houser Home Care, Benton Thomas, decides to begin offering transportation to doctors’ appointments and they receive reimbursement directly from Medicare and Medicaid. In addition, Houser Home Care will transport their clients to the grocery store and other places they wish to go. They contact their insurance broker who was caring for their Home Healthcare Insurance and requested quotes for the transportation service they would soon begin offering their clients. The agent takes down all pertinent information and promises to get back with Houser Home Care soon. Two weeks pass by and Benton calls the insurance broker to learn the status of his quotes. The broker promises to find out and call back. Another two weeks passes by and he receives no word from his existing agent and getting a little frustrated Benton calls another agent named Joey Porto and Joey takes down his information and promises quotes within 2 days. Another week goes by and he has not heard from either the agent caring for his Home Healthcare Insurance or Joey Porto who promised quotes within two days. Growing super frustrated Benton Thomas obtains an online quote from a company advertising cheap Auto Insurance for Nonemergency Medical Transportation and finds a company willing to provide insurance to his company. He completes all of the details and one of the underwriting questions asked specifically if he transports clients to destinations other than the doctor’s office? He answered no on the application when in reality the answer was yes. He did this without giving it much thought because he simply had to get the insurance started. A policy is issued and Houser Home Care now begins to provide transportation services to their clients. Within six months the revenue generated from their transportation services far exceeds revenue generated from their home healthcare operation and Benton begins to hire additional drivers and soon becomes one of the largest transportation services in the area. On a Saturday afternoon, James Watson is transporting Ms. Ellie Simmons to the local bingo hall when he suffers a fatal heart attack, slumping in the driver’s seat, the car veers to the right side of the road missing several cars and the car smashes right through a guardrail and rolls down an embankment. Regrettably, Ellie is killed as well in the subsequent accident and her family files a wrongful death lawsuit against Houser Home Care for $1,000,000. Will the Houser Home Care Business Auto Insurance for Non Emergency Medical Transportation cover this claim since they bought a $3,000,000 policy? Find out the answer in our next post when you click on Non Emergency Transportation Insurance Florida. Non Medical Transportation Insurance Ohio – Contact Us Today!